Nairobi, 5:00 PM. The sun has started to set behind the downtown skyline. I’m making my way across town to meet up with an entrepreneur in the Westlands neighborhood. Our appointment is in just 30 minutes. Looks like I’ll be cutting it close, since a massive bottleneck has gridlocked the city’s main highways. But no need to panic: my taxi driver pulls out his smartphone and opens Ma3Route, a navigation app that leverages the power of crowdsourcing. Following the recommendations calculated by the algorithm in real time based on user-submitted data, we’re able to blaze a faster trail through the city’s less-congested backstreets. Ma3Route is just one of countless apps and services used every day in Nairobi, all created for Kenyans by Kenyans. That’s no accident: Nairobi is one of the continent’s busiest hubs for new technology. The super-dynamic innovation center has even earned a catchy nickname: the Silicon Savannah. 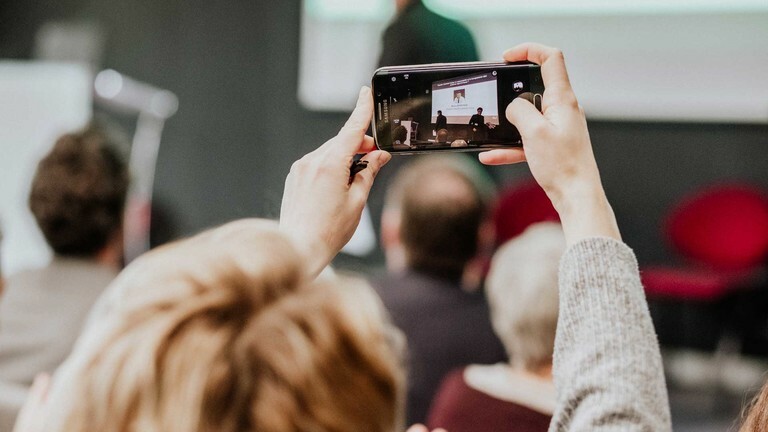 Whether they expand access to care, reduce pollution or promote education, all the services and applications invented here aim to transform daily life for the city’s residents by offering concrete improvements in many sectors. When it comes to preserving the environment, drones can notably help to protect wildlife by eliminating poaching throughout the country’s national reserves. In healthcare, the Access Afya chain of mini clinics ensures that all communities have access to personalized care. 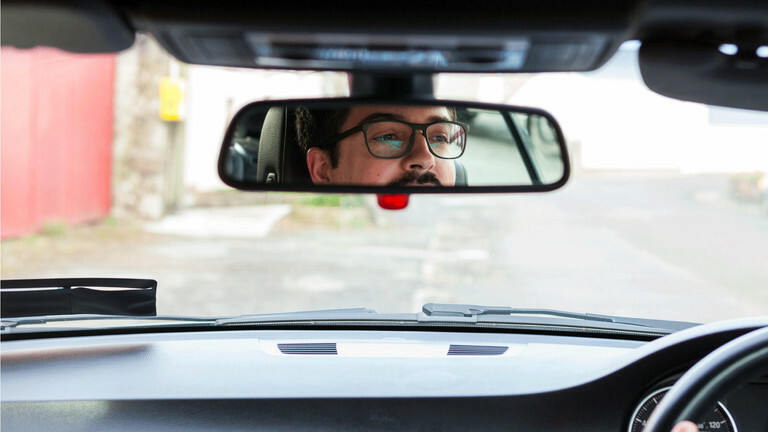 There’s no denying it: innovation is everywhere. My taxi’s route takes us through the Mukuru district and its seemingly endless rows of tin shacks that house the city’s poorest residents. But even here in this slum, things have started to change through the work of Sanergy, a start-up offering affordable sanitation solutions. Local shops can purchase and install its sanitation facilities for under $30 a year – a cost often financed through a microloan solution. “Nairobi’s slums are home to 2 million people. Fewer than 10% of habitations are serviced by sewers and plumbing is often broken or backed up”, explains the start-up’s founder, David Auerbach. Sanergy’s toilets offer some dearly-needed relief in these catastrophic ecological and sanitary conditions. In addition, the start-up even converts sanitary waste into organic fertilizers for use by local farms in the region. Just like all the region’s entrepreneurs, the start-up places the needs of locals at the center of its approach. “Our model allows the communities we serve to be invested at every step in the value chain”, the entrepreneur adds. 5:25 PM: I manage to arrive a few minutes early for my meeting and take advantage to admire the massive white building housing Nairobi Garage, a vast coworking space complete with open offices and conference rooms. The space has emerged as one of the capital’s most iconic homes for innovation. 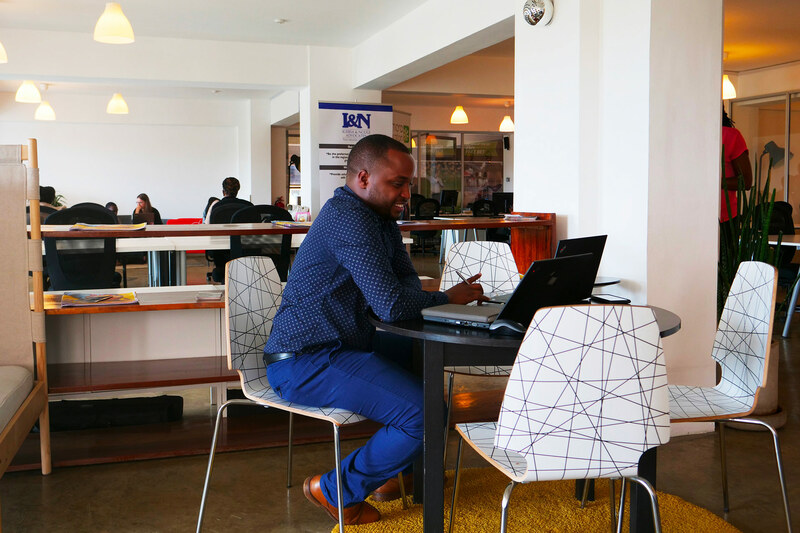 But it has plenty of company: iHub (a tech collaboration space created in 2010) and Nailab (an incubator started in 2012) also play host to the top local entrepreneurs. These spaces provide a precious resource in a city plagued by paralyzing infrastructure limitations, where access to the web and even electricity can be very hard to come by. “The cost of getting connected can be much too high for a single entrepreneur to bear on their own. 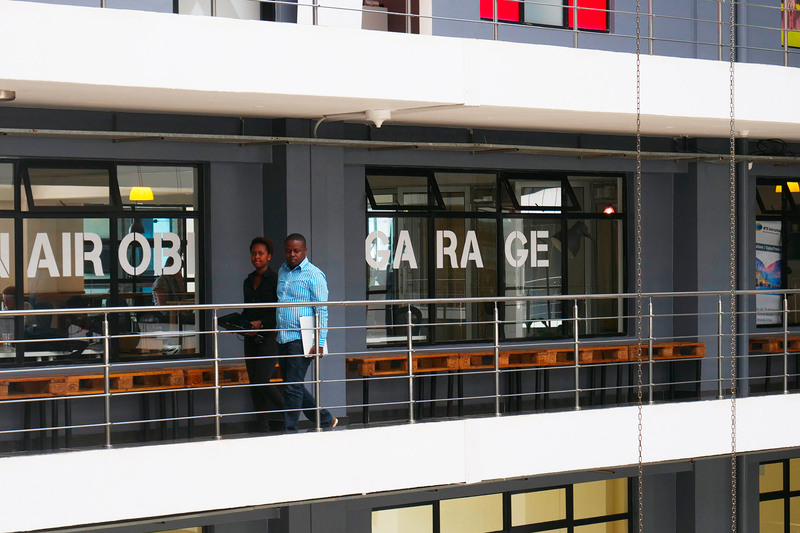 But at Nairobi Garage, entrepreneurs know they can access reliable and high-performance infrastructure at an affordable price”, underlines Hannah Clifford, the director of the space. 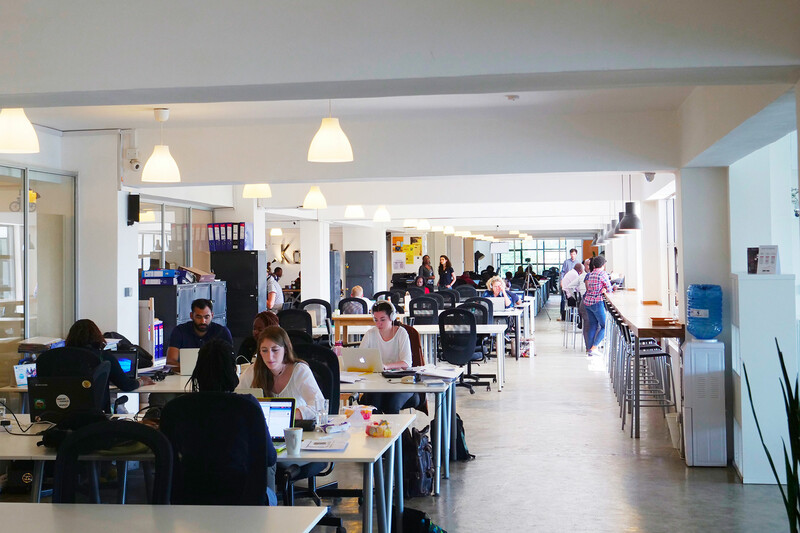 It’s no accident that the Kenyan capital has emerged as a hotspot for innovation. 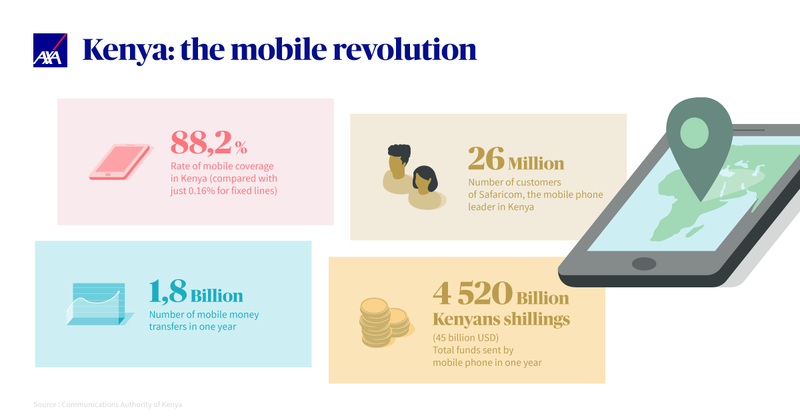 Today’s dazzling success can trace its roots all the way back to 2007, when Safaricom launched M-Pesa, one of the first services to allow users to deposit, withdrawal or transfer money from a mobile phone. The solution was an instant hit and rapidly spread throughout every segment of the population. 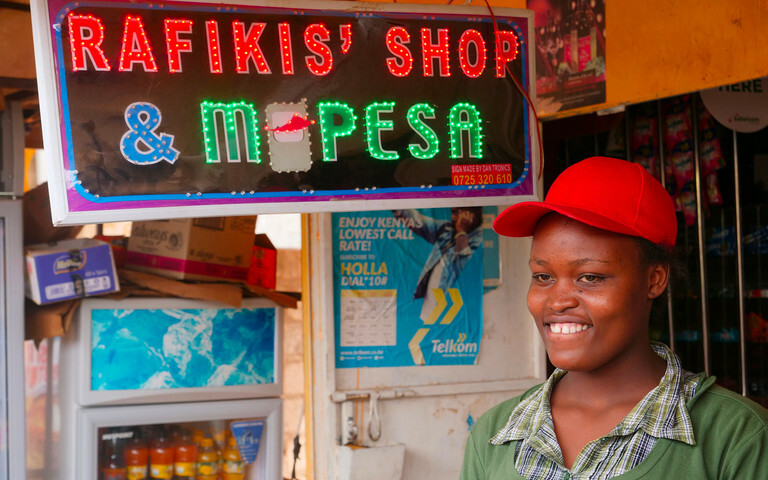 By 2010, M-Pesa had become the most popular financial service in any developing nation. By 2012, it had racked up 17 million registered users in Kenya. Its success was like nothing else. Today, the company’s red and green logo can be seen in nearly every shop in Nairobi. 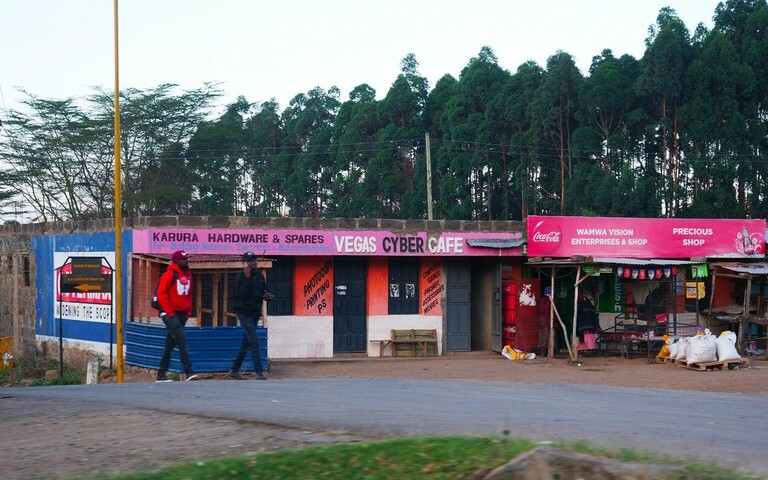 The service’s meteoric rise inspired droves of entrepreneurs to develop their own innovative services, all fueled by the e-commerce boom and the emergence of Kenya’s middle class. On top of that, the country’s high mobile penetration rate has made it much easier for users to adopt these solutions. M-Pesa paved the way for a new generation of mobile services. For example, M-Kopa, a company that has partnered with Safaricom, offers an innovative system for financing solar power kits, comprising photovoltaic solar panels, phone chargers, a flashlight and a radio. After an initial payment of $30, users can recharge their “solar package” for 50 cents a day, payable by text message. The service can be fully paid off in just a year: after that, they have access to electricity at absolutely no charge. Another good example is M-Shwari, a service offered by M-Pesa, which allows users to obtain 30-day loans for amounts of $10 or more in just a few seconds. Users can raise their credit limit over time by making all their payments on time. Indeed, Silicon Savannah’s reputation extends well beyond Kenya. 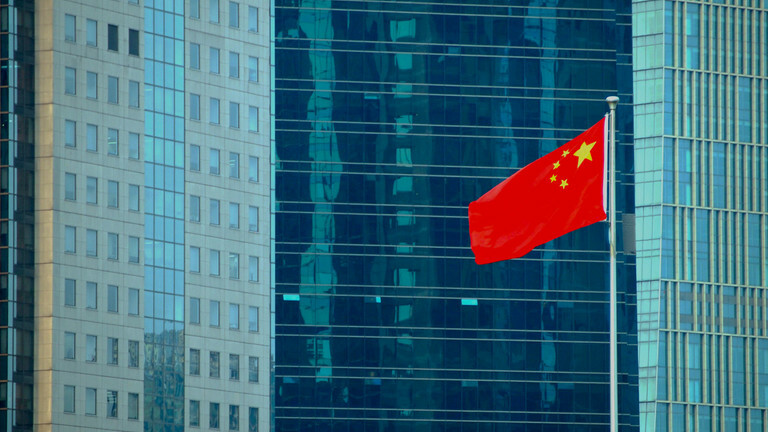 The tech hub has gained a growing chorus of international admirers over the years. That has led to more events attended by start-ups and multinationals alike: hackathons, Google Developers Group, Seedstars World and more. In 2015, Nairobi became Sub-Saharan Africa’s first city to host the Global Entrepreneurship Summit. The event attracted a number of high-profile attendees, including Barack Obama, who delivered a speech praising the country’s growth prospects. No one in Nairobi has forgotten that historic moment, the first time a sitting American president has visited the country. The following year, it was Mark Zuckerberg’s turn to make a surprise visit to the country. “I'm here to meet with entrepreneurs and developers, and to learn about mobile money — where Kenya is the world leader”, he declared on Facebook. Its newfound notoriety has drawn a host of international talent to the country. By coming here, they can connect with a robust ecosystem to create and build projects together with local talent. “Kenyans have a high level of education compared to other countries in East Africa”, underlines Sylvain Romieu. 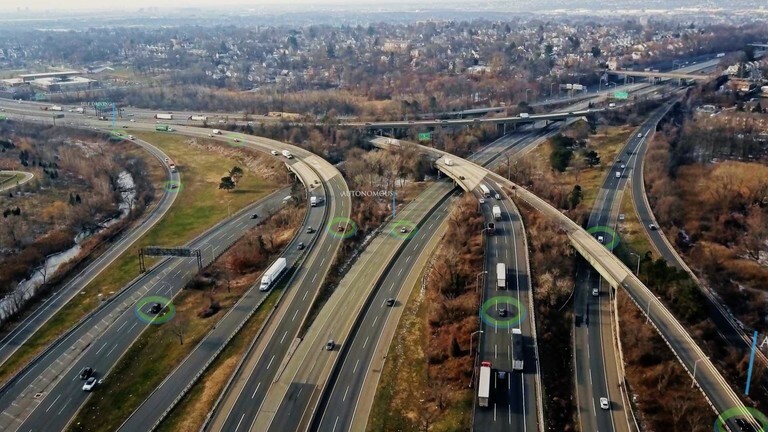 Digitalization is playing a bigger role in that area, too. For example, the Eneza app allows students between the ages of 10 and 18 to get tutoring and homework help by text message. First launched in 2012, the service now has 1.7 million users. Kenya now has everything it needs to keep riding its innovation wave. But the road ahead is not without its challenges. The country will need to improve its infrastructure to allow creative talents to unleash their full potential, while also expanding access to funds. As these new business models have poured into the country, unemployment has steadily declined in recent years, though it still remains above 10% and has hit young people the hardest. According to the World Bank’s numbers, 22% of young Kenyan workers are without a job. That rate is much higher than in neighboring countries like Tanzania and Uganda (5.4% and 4.0%, respectively). Formal jobs are in short supply in Kenya, so many young people get by on gigs and odd jobs. Night falls over Kenya, but the lights are still on at Nairobi Garage. Tonight, the entrepreneurs still hard at work in the open space will go to sleep in the hopes that their companies will grow big enough to bring jobs to their fellow citizens and make life better for the entire population – and then, perhaps the whole world?